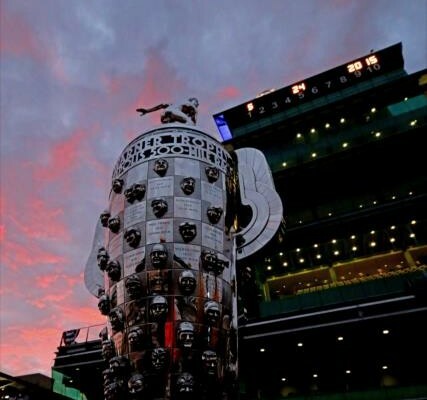 Good morning from the Indianapolis Motor Speedway, the traditional cannon firing that marks the opening of the gates to spectators has just occurred meaning there are just over six hours between now and the waving of the green flag to start the 99th running of the Indy 500. 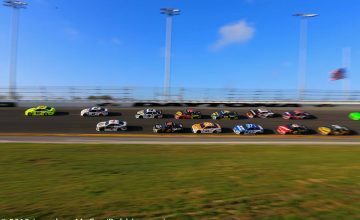 This year’s edition of the Greatest Spectacle in Racing has multiple unknowns and concerns heading into the event that for the most part have not been present in recent years. The last three years at the Brickyard, we essentially got what we expected, tight racing, close competition, and outstanding conclusions. This year, the story might be different. The consequences following a trio of airborne accidents during the opening week of practice, led to a scaling back of speeds for qualifying meaning the chase for a new track record in 2016 has been temporarily put on hold. The concern was initially centered on the aerodynamic kits relating to the Chevrolet-powered cars, as Helio Castroneves, Ed Carpenter, and Josef Newgarden all took off following wall contact and high speed movement in the reverse direction. All drivers suffered no injuries in the shunts, but the concern was enough to limit horsepower and aero kits choices to what would be used in the race. The problem seemed to be solved, until the following Monday when a suspension failure sent James Hinchcliffe into the barriers in turn three, with much dire consequences. This was the first time a flip occurred to one of the Honda-propelled vehicles and the first time serious injuries were suffered. A broken left thigh and pelvis have ruled out Hinchcliffe for driving the Schmidt Peterson Motorsports No. 5 Honda, and 2012 Indy 500 pole sitter Ryan Briscoe will take his place today. What is getting overlooked right now is the real reason why the horsepower and aero restrictions were set and that is fan safety. A fan suffered serious head injuries due to flying bits off the new aerodynamic kits in the season opening race in St. Petersburg, Florida and with over 300,000 specatators expected today, many who will be in the grandstands surrounding the 2.5 mile oval, making sure they are safe and not at risk is certainly the chief concern for IndyCar and IMS officials. Although a spectator fatality related to an on track incident has not occurred since 1987, the possibility of cars getting into the fence means that cannot be ignored today. With those concerns and controversies now on the table let’s focus on the race itself. A lot of experts have said that this is Scott Dixon’s race to lose. The 2008 Indianapolis 500-mile race champion dominated qualifying and was second fastest in the final practice session on Friday, firing off a fast lap at 228. 5 MPH. Still though a win is far from a slam dunk with several contenders in the queue. Despite concerns voiced by drivers about passing being more difficult to execute this year, there should be at least 30 lead changes today and it will allow several drivers starting further back in the 33-car lineup an opportunity to move forward. 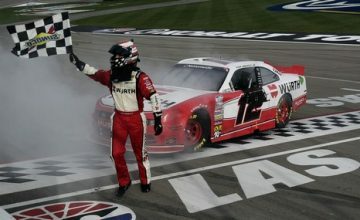 The most likely challengers to Dixon and Chip Ganassi Racing’s hopes to secure a victory, will come from the quartet of drivers representing Team Penske, a squad that has won the race 15 times previously. Two of those contenders, Will Power and Simon Pagenaud start from the top line next to Dixon, while Helio Castroneves lines up on the second row. Although a little further back in the order, Juan Pablo Montoya is also a challenger based on a strategy play that might have worked to his advantage last year, if not for picking up a drive through penalty for pit lane speeding around the 300-mile mark. Of those drivers, Power is the one who will give Dixon the most trouble. Although IMS was in road course configuration two weeks ago, the Australian dominated the race with clutch driving while his Verizon Chevrolet pit crew never made a wrong move from start to finish. Because of that, I think that Power is a better candidate for victory as opposed to Dixon who outside his win earlier this year at Long Beach, California has not had luck on his side. Dixon also must show concern to his own teammates in the race, particularly Tony Kanaan who starts fourth. The grid position is by far for Kanaan his best at Indy in several years, meaning an early surge to the front from mid pick, will not be required today. Another live long shot for CGR is the 20-year old sophomore Sage Karam, who moved from 31st to 9th as a rookie in 2014, piloting a car less capable of success as opposed to the one he will have at his disposal today. CFH Racing will also be a story line today as all three of their drivers start in the first four rows. J.R. Hildebrand looked in the first half of last year’s race, but will need better luck in the second half if he is to challenge for the winner’s circle. Josef Newgarden also needs an increase in good fortune to challenge, the Tennessee native has encountered problems in each of his first three Indy efforts, while Ed Carpenter will not have the luxury of starting from P1 as in the last two years, but still cannot be overlooked. With all of the Chevrolets in the mix, the question of whether a Honda can mix it up in the win scenario should be answered past the halfway point. While the Chevrolets are dominant over a single lap, the low down force kit on the car may not be the way to go over the course of a 500-mile race. With that in mind, the Hondas should start to make their presence known around the 250 to 300 mile mark, with Marco Andretti and Justin Wilson of Andretti Autosport the most likely early threats. Also defending champion Ryan Hunter-Reay cannot be forgotten. Remember the DHL Honda driver started 19th last year and was among the top 3 at the halfway point. Starting from 16th, he should be able to play a role in the second half of the event. I am not buying the belief that Dixon is unbeatable. As I mentioned in the podcast on Friday evening, Dixon has thrown a pair of clunkers the last two years at the Brickyard., He never factored two years ago and finished 14th and crashed out late in last year’s event when a move to make his car faster backfired. So there is enough reasonable doubt out there for me to look elsewhere. The resume for Will Power looks more like a winning one, based on the stat book and the eye test. Sure he does not have great results here or on other high speed ovals in the Verizon IndyCar Series, but Team Penske has figured out the new kits the best in my opinion and that edge will show as the race enters the final 100 miles. Although Marco Andretti and Ryan Hunter-Reay, along with Power’s teammate Helio Castroneves will be stout late, I think Power’s the pick to win for today. Don’t forget to follow Rubbings Racing for continued coverage from Indianapolis before, during, and after the race. For instant updates follow me on Twitter (@MattEmbury) as well along with my colleague Zach Catanzareti. Buckle up friends it is going to be a very wild day!